Elections for nearly all of the 100 seats in the Virginia House of Delegates were decided on November 7, when Democrats won sweeping victories across the state, electing a record number of women and the state’s first Latina and transgender delegates. But the last one of those races won’t be decided until next Wednesday, when election officials conduct a random drawing to see who wins the now-tied race to represent the 94th District. The drawing will be dramatic for more than the obvious reasons. 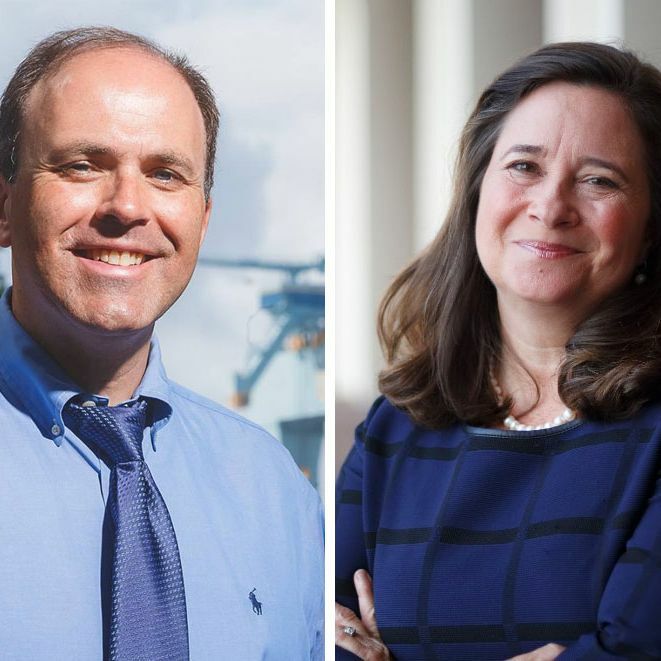 The winner, be it Republican delegate David Yancey or his Democratic challenger Shelly Simonds, will determine who controls the levers of power in Richmond. If Yancey wins, the GOP will lock up a 51-49 majority. If it’s Simonds, the parties will share power with 50 delegates apiece. That wouldn’t be an abstract victory. A 50-50 split in the legislature could bring the Medicaid expansion to Virginia, providing an additional 400,000 people in the state with health-care coverage. As we await the random drawing next week, let’s look back at how we got here. August 8: Shelly Simonds wins a firehouse primary to become the Democratic challenger to Yancey, but she was almost not a part of the race. Zack Wittkamp won the Democratic primary in June after running unopposed, but dropped out in July. Simonds, a member of Newport News School Board, was a natural replacement. She challenged Yancey in 2015 and lost by 2,100 votes in a district that leans blue. September 22: The Daily Press notes that Simonds is way behind Yancey’s fundraising pace, with the most recent campaign filings showing her with $42,957 in her campaign bank account. Yancey has $218,748. November 1: With Election Day just days away, Simonds puts her first ad on TV, hitting Yancey for his vote against expanding Medicaid in Virginia. November 8: With Democrats winning huge victories across the state, Simonds appears to fall 12 votes short in district 94. She immediately demands a recount. December 19: Six weeks after the election, the recount is complete and the news is good for Simonds. After picking up 11 votes, Simonds has 11,608 votes and Yancey 11,607. All across the nation, headlines blare that “every vote counts” and Simonds makes the media rounds. December 20: It’s true, every vote does count, even those that aren’t clearly marked. And Yancey’s campaign found one ambiguously marked ballot that went uncounted and challenged it in court. A three-judge panel sided with Yancey and said that the ballot should be counted for him. And like that, the election was tied at 11,608 votes each. December 27: Two days after Christmas and nearly two months after the election, a winner in district 94 will finally be declared. The process is crude: Both candidates’ names will be printed out and cut into identically sized pieces of paper. The paper will be stuffed into old film canisters, shaken up in a bowl and then one will be drawn by a member of the board of elections. And then there will be a winner — at least until the next legal challenge. Still stunned by the decision yesterday. My team played by the rules of the recount from the court order but Yancey did not. It was unfair that we couldn’t contest ballots but they were allowed to.